Sacramento Republic FC is hosting the 2018 U.S. Soccer U-12 Development Academy Festival at the Davis Legacy Complex on Saturday, August 18. 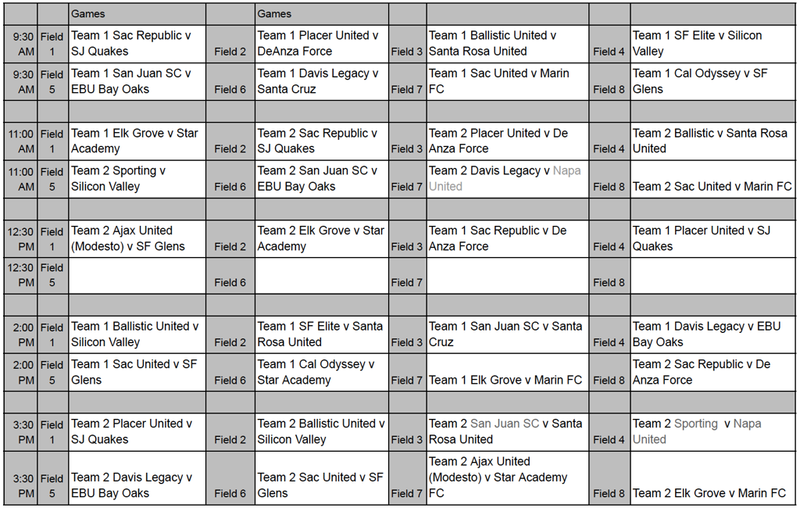 All of the U.S. Soccer Development Academies from Northern California will be attending. Each team will be playing two matches at the event. Players who participate in the event will be recognized on the field prior to the Sacramento Republic FC vs LA Galaxy II match at Papa Murphy's Park later that same day.